Kansai is probably the second most popular area to visit by foreigner. It is home to Japan’s second largest city Osaka, after discounting Yokohama. 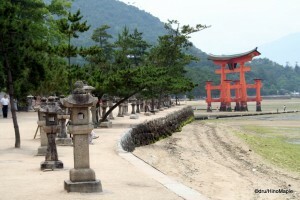 It is also home to the most historically important cities in Japan, Kyoto and Nara. Kobe is another major city but like Yokohama it can be considered as a suburban city of Osaka. Kansai is also home of Wakayama which is famous for their Buddhist temples and the ability of foreign guests to spend a night and wake up to the prayers within the temples and Himeji, home to Japan’s most famous castle. There is so much to talk about in Kansai that it is impossible to summarize it in one paragraph. The people are very distinct and they have their own dialect. It is often considered the comedy capital of Japan due to the number of comedians who call Kansai their place of origin. The people are very outgoing and it is often easy to strike a conversation with a stranger compared to the cold and private Kanto region. It is often a bit colder than Kanto but the warmth of the people more than make up for it. There is a bit of a rivalry between people from Kansai and Kanto but I do believe it is more in jest rather than prejudice. As for the food, Kansai is considered the capital for Japanese “soul food”. They have things such as okonomiyaki and takoyaki. They are experts in yaki soba and tonpei yaki. It is mostly fried food but it is delicious. Kyoto is a small exception as they specialize mostly in traditional Japanese foods that cost an arm and a leg at times. Either way Kansai is a food lover’s paradise, unless you are trying to eat healthily. The western end of Honshu is Chugoku. It can easily be misinterpreted as China as Chugoku is also the same word for China. This region is best known as the home of Hiroshima and Okayama however the Sea of Japan side includes Tottori and Shimane which are wonderfully beautiful rural areas in Japan. The Yamaguchi prefecture is also a beautiful place but I have yet to visit that region. The Sea of Japan side of Chugoku is best characterized as a rural area that appears to be disconnected to Japan itself. The people seem to not worry about anything and tend to live life as an independent region to the other regions. They are a proud area that is popular for domestic travel. The southern region, in contrast, has been stigmatised by the tragic bombing of Hiroshima. 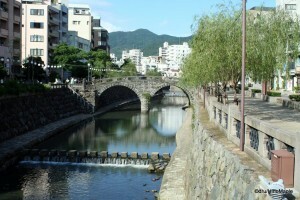 Most people will overlook Okayama and just visit Hiroshima. 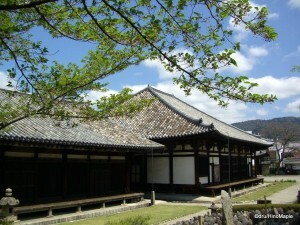 It is a very important historical location and it is a place I highly recommend people to visit if they get the chance. Unfortunately it can be a terribly humbling place due to the amount of artefacts that remind us of the terrible outcome of the atomic bomb. You can’t travel within Hiroshima city without seeing reminders left right and centre about the bombing itself. The people in the city are great and they try to live their lives as normally as possible. The food is delicious. They are famous for their oysters as well as okonomiyaki. Of course Kansai is famous for okonomiyaki but the Hiroshima style is different and in my opinion, better. 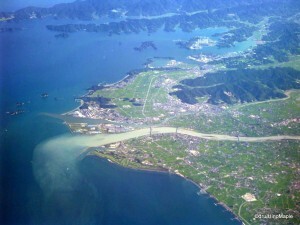 Shikoku is a small island that is located just below Honshu. It is an area that only a few Japanese people visit if they don’t have family in the area. It also happens to be one of my favourite areas to visit. It is a diverse region that is made up of 4 prefectures. Each area is also unique. The eastern side of Tokushima and the southern prefecture of Kochi often fight over who is better. There is a very old and popular festival in both prefectures that are visited by thousands of Japanese people each year. Both festivals claim to be the best and most exciting festivals in Shikoku and to be honest they are both wonderful to see. While I haven’t been to either in person, it is difficult to travel the region and not see video of the traditional dancing during the festivals. Ehime is the western prefecture that is well known for its onsen, Dogo onsen. It is considered the oldest onsen in Japan and has various healing factors. A little north of Matsuyama is Imabari which is famous for its towels. 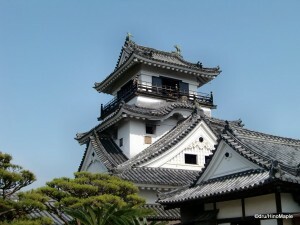 In the north, you can also visit Kagawa. It is famous for its udon noodles and also for Naoshima which is a famous art island. It is a small island that is filled with various modern art sculptures. Most of it is free however the main museums are not. Overall, Shikoku is a very diverse region that rivals most regions of Japan. Kyushu is the final region. It is the western most main island of Japan. It is famous for its food and onsen as well as its nature. Most people will travel only as far as Fukuoka and northern Kyushu. This is the area that has the best onsen as well as the best food. Fukuoka is well known for its regional delicacies as well as being close to Nagasaki. Nagasaki is not as popular but important for foreign tourists. The southern region is not as well known but they are famous for shochu and various poultry and pork products. One of the more interesting, yet overlooked, areas is Yakushima. It is a small island just south of Kyushu’s main island and setting for Hiyao Miyazaki’s Princess Monomoke. It is one of the few natural environments unique to Japan. South of Kyushu is the Ryukyu Island chain which encompasses Okinawa. Most people will lump Okinawa and the Ryukyu into Kyushu but that shouldn’t be the case. Okinawa is, in its own right, a separate area. They have a different history compared to Japan and have been fighting for their own rights as a small “nation within a nation”. The entire chain of islands is beautiful, from the pictures I have seen, and make a nice vacation spot with lots of opportunities to relax on the beaches. The culture is very unique with a unique style of music, dress, and language. The food has been heavily influenced by the regional natural fruits and vegetables as well as the heavy presence of the US military. One of the most famous items has to be Taco Rice which is basically taco filling on a bed of rice. They also make use of bitter melon which is unique in Japan as other regions cannot grow bitter melon easily. There is one region that almost never gets named when talking about regions of Japan. These are the Izu and Ogasawara Islands (Bonin Islands). These are a set of small islands that stretch south of Tokyo for over 1000kms. The Izu Islands are a set of islands that are somewhat populated. They have a lot of tourism however don’t expect access to be easy. Farther away are the Ogasawara Islands in which only two islands are inhabited. The Ogasawara Islands are historically more important that the Izu Islands. Iwoto, or previously known as Iwo Jima is part of this group of islands where the US fought hard to get a foothold in taking down the old Imperial Japanese Army. It has been a long time and few people visit these sets of islands. In fact it is very difficult to get to any island other than Chichijima and Hahajima. Most people in Japan never even consider visiting these islands so they have evolved into a very self sufficient area. It is hard to believe that they are Japanese yet they are very much Japanese. As you can see, Japan is a very long and diverse country. Each region ranges from cool temperate to sub-tropical. Japan is bound by 4 seas and 1 ocean. There are 4 main islands and hundreds of other small islands that span over 1000 kilometres from one end of Japan to the other. There are several mountain ranges and many diverse rivers. Each region has their own distinct version of Japanese culture along with their own distinct foods. People imagine Japan as being a homogeneous culture but they either forget or neglect that there are two indigenous groups, the Ainu in Hokkaido and the Okinawans in Okinawa. You can also see the various culture differences between each region of Japan that is accentuated by the differences between people in the Kanto region and the Kansai region. It is a wonderful country with many things to see. Visiting only a few areas is not enough and visiting at one time of the year is not enough. It can take a lifetime to fully explore every corner of Japan and even then you’d still have trouble experiencing everything. Note: Due to the amount of information available, this is part 2 of 2. Please continue reading about the Regions of Japan – Nagoya to Hokkaido. This entry was posted in Chugoku, Kansai, Kyushu, Okinawa, Shikoku and tagged Bonin, Bonin Islands, Chichijima, Chubu, Chugoku, Chuubu, Dogo, Fukuoka, Hahajima, Himeji, Hiroshima, Honshu, Hyogo, Imabari, Inland Sea, Iwo Jima, Iwoto, Izu, Izu Islands, japan, kansai, Kanto, Kobe, Kochi, kyoto, kyushu, Matsuyama, Mie, Nagasaki, nara, Ogasawara, Ogasawara Islands, Okayama, Okinawa, osaka, Ryuku, Ryuku Islands, Sea of Japan, Seto Inland Sea, Seto Sea, Shikoku, Shimane, Tottori, Wakayama, Yakushima, Yamaguchi, Yokohama by Dru. Bookmark the permalink. Great summary report on western Japan! I am a Japanese from Fukuoka who left Japan long time ago. I wish I had travelled Kyushu and Shikoku more! As you observed, yes, Japanese from western Japan are different from those from eastern Japan. It’s a small country, but big enough to have some diversity. Thanks! I always worry that I don’t write good articles or something is wrong with it. I hope not. I love the subtle differences in people from different areas of Japan, but I usually don’t notice it so easily. I hope you get to travel Shikoku in the future. It is just too beautiful to pass up. Kyushu is somewhere I need to visit a lot more. I haven’t done enough of it yet. PS: I took a look at your blog already. I have to read a bit more on the Kyushu one and I will be finished. 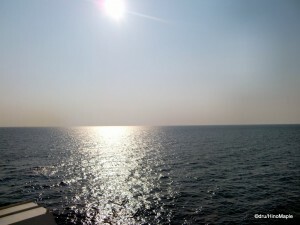 Then I’ll take a look at the Lake Michigan one. I have friends in Minnesota and wish I could go there. Unfortunately, living in Japan makes it tough as I would usually spend my vacations going to Vancouver, not America anymore. Hopefully I can go there in the distant future.